#BillsMafia runs way deeper than I ever expected. The one great thing about being stationed overseas, is that some organizations are able to put together some pretty amazing meet and greets for us. Just recently, Steven Jackson and Donnie Edwards made a visit. Naturally, I don't care who it is, i'm gonna show up supporting my Bills attire. When they showed up, Steven Jackson walked right up to me and yelled "Hey, Bills Mafia," he introduced himself and we just started chatting. He was telling me that Bills fans have probably the greatest fan base ever and he loved how deep our fan base runs. I just really appreciated how much admiration he has for our fan base, especially coming from a non-Bill as well as coming from someone who's never stepped foot inside the Bills organization for the true experience. That's cool...Thanks for your service! GO BILLS!!! Every fan base says they’re the greatest fans - but it’s only true with us. I hear neutral observers all the time say Western NY has one of the best fan bases in America. RW and Pegs deserve praise for keeping the Bills in Buffalo, but the truth is if the fan base wasn't among the strongest in the NFL, the market here would be untenable. The wheels came off our wagon long ago. This is true. I was at Disney in December and Bills gear was seen the most along with the Pats. Steelers a distant third. Bills, and even Steelers fans, are for real. 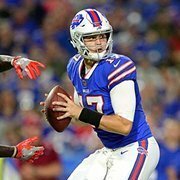 If the Pats* go into a Bills style drought Goodwill will be overwhelmed! This fall, I was at Octoberfest in Munich, Germany. I was wearing a Bills cap. 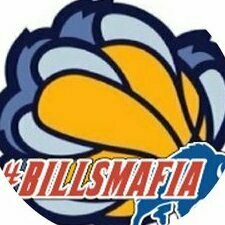 Sure enough, I heard a couple of guys scream "Bills Mafia!" and got some high-fives when they walked by. The great thing about #BillsMafia is the national media has picked it up and treats it like a legit thing. Players too, even from other teams. Same's true in Europe. I've met other fans in: France, Germany, Italy & Hungary. They're mostly fans because the BILLS are their home team. Also true with the Sabres. I have a Virginia Bills Mafia sticker on my car. NFL fan bases, please raise your hand if you almost single handedly raised more than $400,000 for charities not involving your own team's players in 2018? You there in the back, is your hand up? No? OK, so just the Bills fans. Great story, can i ask where you are stationed? I love it...but I’m curious what makes (and keeps) the Bills so popular even though they are from a small market and haven’t won anything in a generation? I inadvertently got on the bandwagon in 1990 (long story, but being from Alabama, the NFL is second fiddle). I converted my mother, my wife and my nephew. Of course my son is a Bills fan. We had seasons for a decade, and there is never any question about our fandom. I think what makes us all stay Bills fans is the fans. Being beaten down together, we all know the sorrow and misery each of us has endured over the years. We’re kind of like the step child of the NFL, and we take great pride in it. Great, thanks for your service, think about the incredible experience you have had. Never been to Japan.